I’m 18 years old, I’m from Dublin, Ireland and I currently live in Florida. I love to travel. I love all things beauty related. Shortly after moving to the states, I decided to throw myself into what I love which happens to be makeup. I recently finished my Master Makeup Artistry course and I hope to start my freelance makeup artist career soon. One day I would like to start up my own YouTube channel as I would love to be a part of the beauty guru community. I also own my own self-titled website/blog that I post on every week! I like to think of myself as a very creative person. One of my favorite things to do growing up was paint and do arts and crafts, so I think that’s what initially pulled me in when I got older and found out about makeup. I kept practicing and getting better and soon after I started to play around more with bolder eyeshadow and lipsticks. I loved the feeling whenever anyone would compliment my makeup and when friends would ask me to do theirs. Naturally it made me want to do it all day, every day. You’ve completed your Master Makeup Artistry course and have a few more lined up with QC Makeup Academy! What are you most excited about for your upcoming training? I’m really excited to learn as much as possible and develop my skills more and more. I’m constantly looking for new ways and learning different techniques to get better at what I do, so I think that the Pro Makeup Workshop will give me that extra boost. I also can’t wait to get started on my portfolio! What have you learned since starting in the industry? And what direction do you think you’ll go in for your makeup career? Right now I’m leaning towards a freelance career. I’ve always liked the idea of working for myself and I think since finishing my course that I have all the tools and skills I need to do just that. As for the future, I would love to one day have my own brand of products! I think with any makeup course you learn the basics of makeup application and some tricks of the trade and then you kind of have to go out on your own… but after taking just one course with QC Makeup Academy I already feel like a professional. I feel totally prepared and confident as there’s so much I have learned about this industry, not only about applying makeup but also the business aspects which in my opinion is just as important as learning how to apply perfect winged eyeliner when you start off in this industry. You have some great tips about makeup and skincare on your blog. What is your favorite beauty tip to give? My favorite beauty tip would have to be—do your eye makeup first! Will you tell us your #1 ride or die makeup product? MAC prep+prime highlighter. My color is light boost and I love using this to brighten up my complexion. I have repurchased this product so many times and I haven’t gone without it since discovering it a few years back. 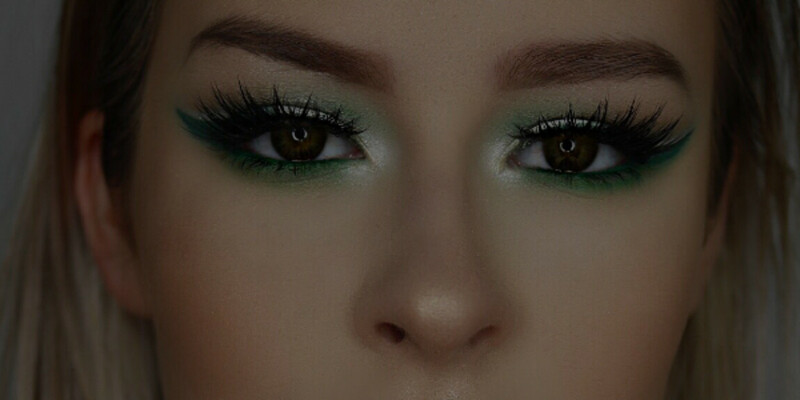 Inspired to start your freelance makeup artist career? Get to know the skills you need to become someone in the makeup industry! These make-up looks are amazing!!! WOW Your blog is really awesome. I am really enjoying it. Also following you on instagram!